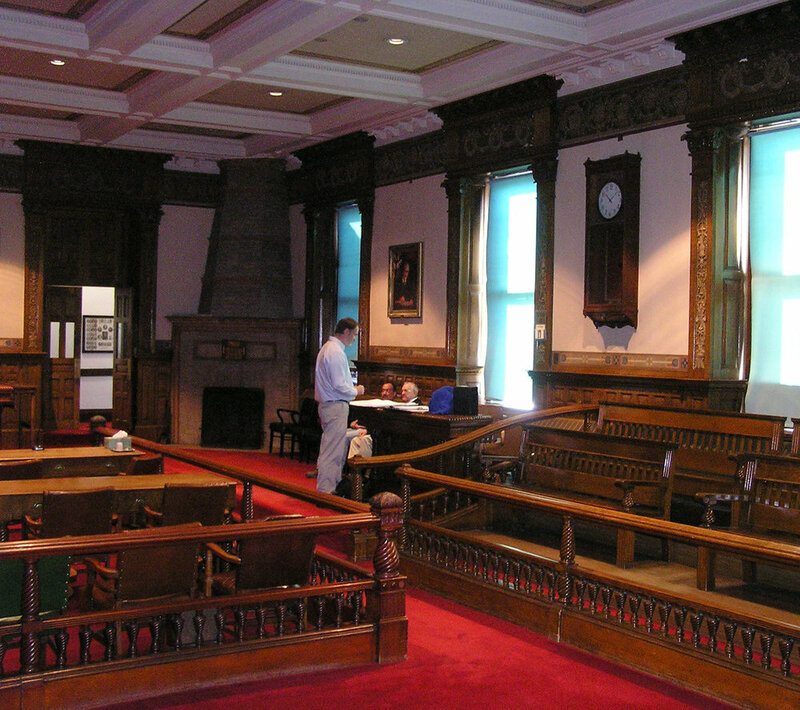 The ceremonial courtroom on the second floor of the Kennebec County Courthouse is part of an addition added to the original structure in 1885. The Maine Supreme Court held annual sessions in this room from that date on, and its style is consistent with the Renaissance Revival of that period. It is highly decorated, with an ornate coffered ceiling, carved moldings, and portraits of past justices. Sporadic modernization of the lighting and heating systems have occurred since that time, but few other modifications have been made. Unfortunately, the courtroom had no sprinkler system, no room for modern security protection or AV equipment. The Maine Supreme Court moved to the Cumberland County Courthouse in Portland in 1970, and as building codes and accessibility standards changed and the need for security became more acute, active use of the courtroom ceased. In 2010, officials decided to fund a new consolidated courthouse behind the Kennebec County Courthouse. With this decision came the intention to provide access to the ceremonial courtroom, and to renovate it as gently as possible while complying with current codes. State and county officials, court justices and administrators, and several legislators were influential in securing state funding for the project. Due to the sloping site, the architects were able to keep the new building behind and below the view of the old. The old and new courthouses are connected by a glass bridge that provides access to the ceremonial courtroom while ensuring security. The careful renovation of the courtroom yielded features such as a new energy-efficient glass entrance vestibule, polished woodwork, and modern technological advances in safety and accessibility. 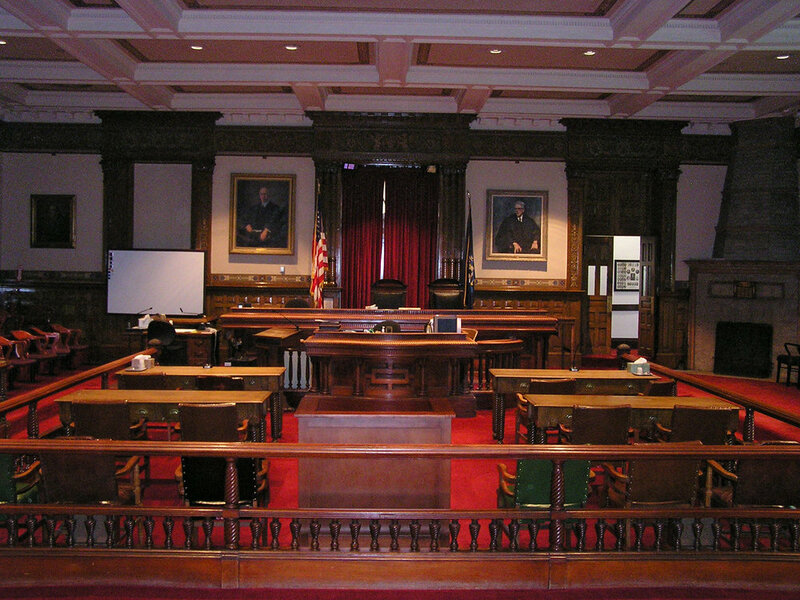 The once-empty courtroom is an open, working public courtroom once more. The ornate landmark in the state capital, a unique example of 1890s courtroom design and an important part of Maine’s judicial history, has been stabilized and restored to its civic role, made safer and more secure, and reopened to the public.